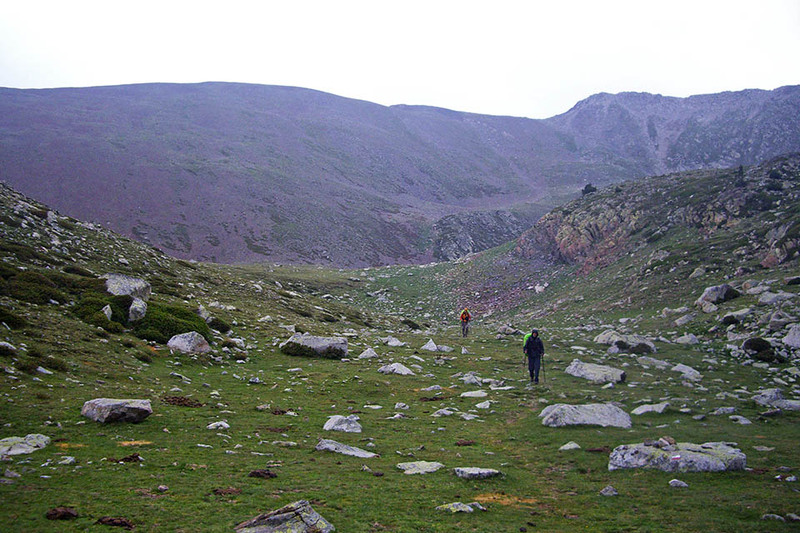 ﻿ Stage 34: Refugio de L'Illa - Refugio de Malniu. Time: 5h20min (walking time without stops). 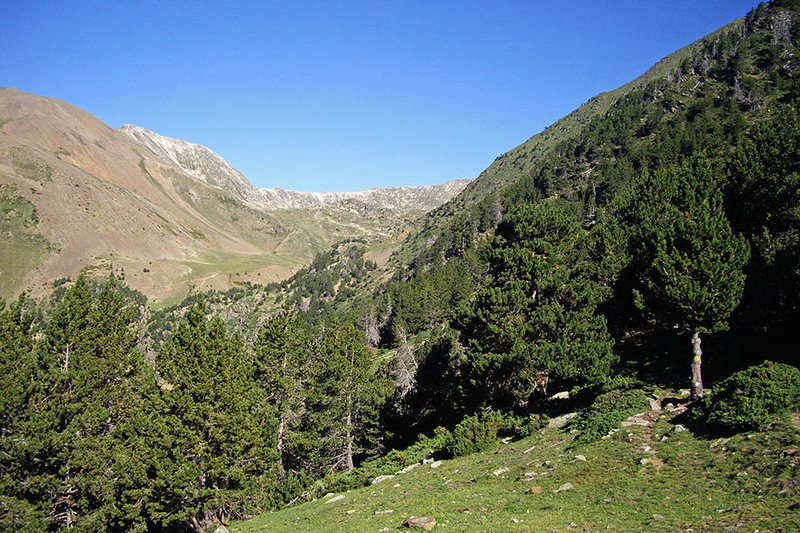 Difficulty: in early summer there could be snow on the Coll de Vallcivera (2,544m) and the Portella d'Engorgs (2,696m). Water: you will find a number of streams along the way. 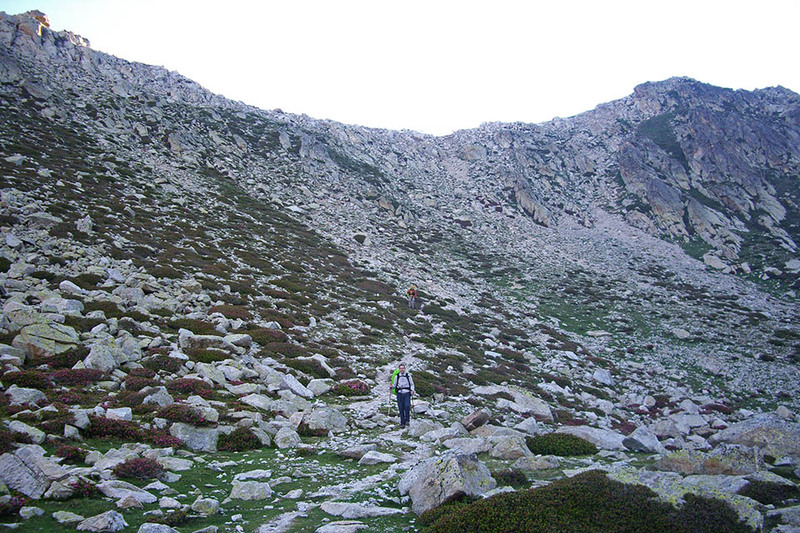 (0h0min;0km) Refugio de l'Illa (2.480m). 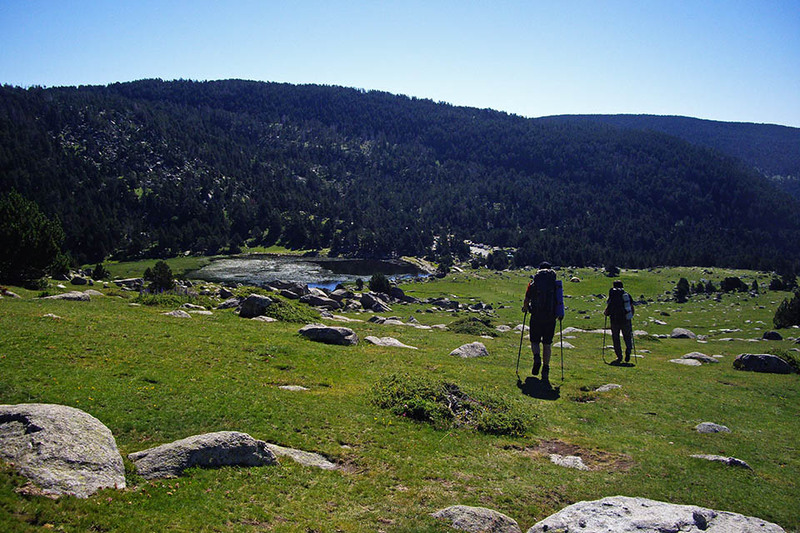 The path climbs up, behind the refuge, to the Estany de L'Illa dam, passes it on the left and soon comes to a crossing where both the GRP and the GR7 turn left (north) while the GR11 keeps right. 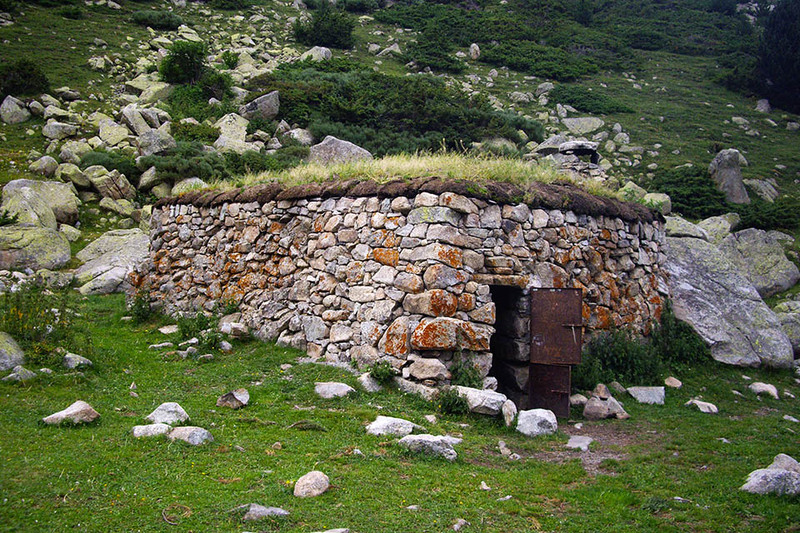 (1h25min; 4.6kms) Cabaña dels Esparvers (2.070m). Carry on ahead (east) along the same route as the GR107 for 200m, as far as a crossing with a signpost. 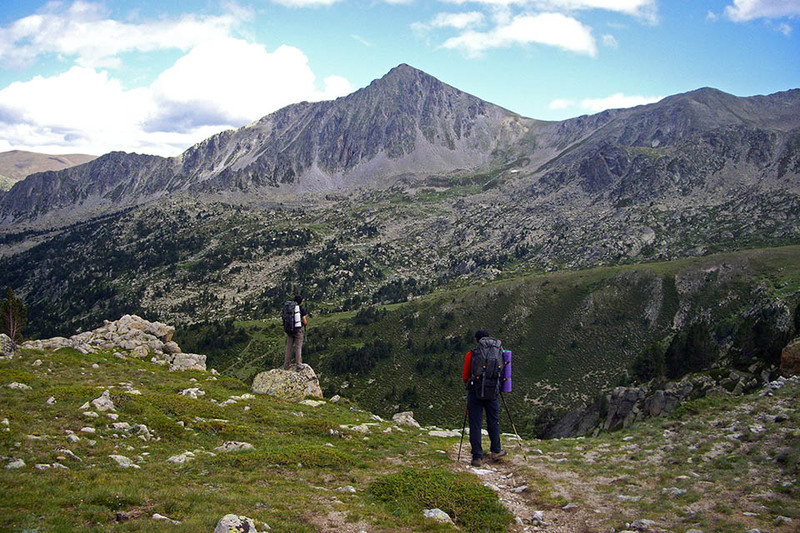 The GR107 heads north to Portella Blanca, while the GR11 turns right, crosses a stream and zigzags up towards the mountain opposite. 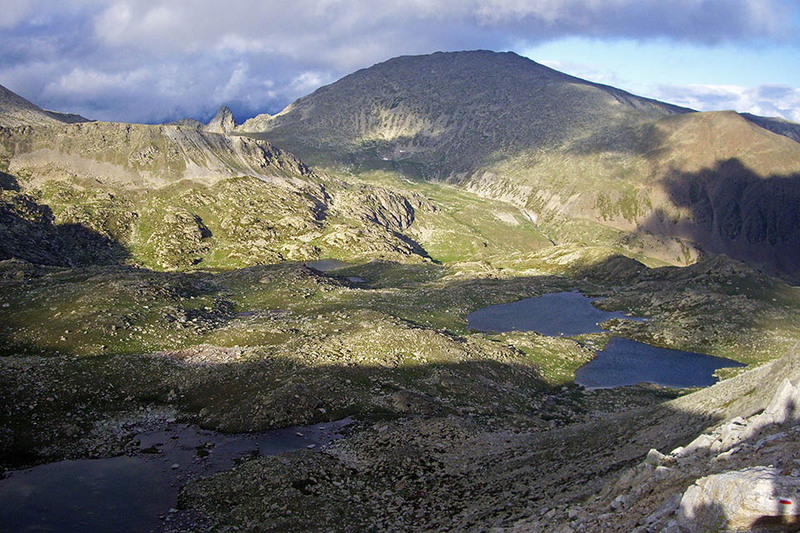 (3h10min; 7.8kms) Portella de Calm Colomer o d'Engorgs (2.697m). 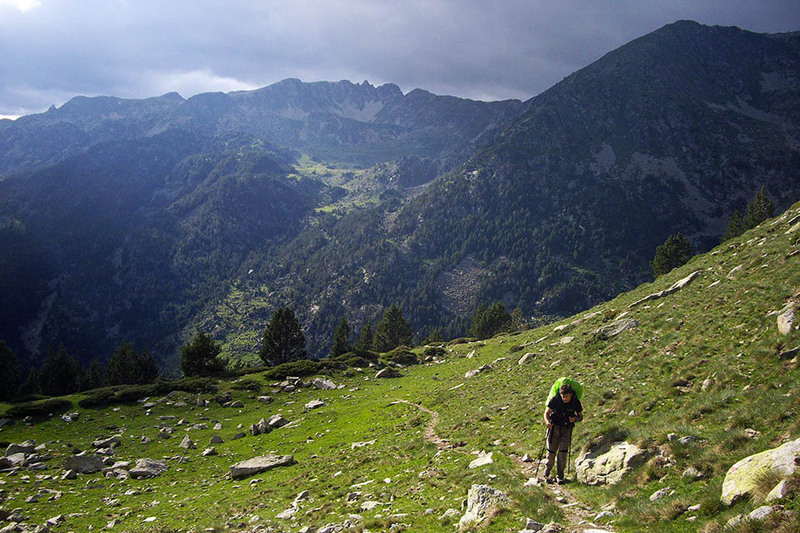 You head down the other side through rough terrain to Estany de la Portella lake, which you leave on the left, then continue across rocky terrain towards the Estanys dels Minyons lakes, which you also leave on your left. 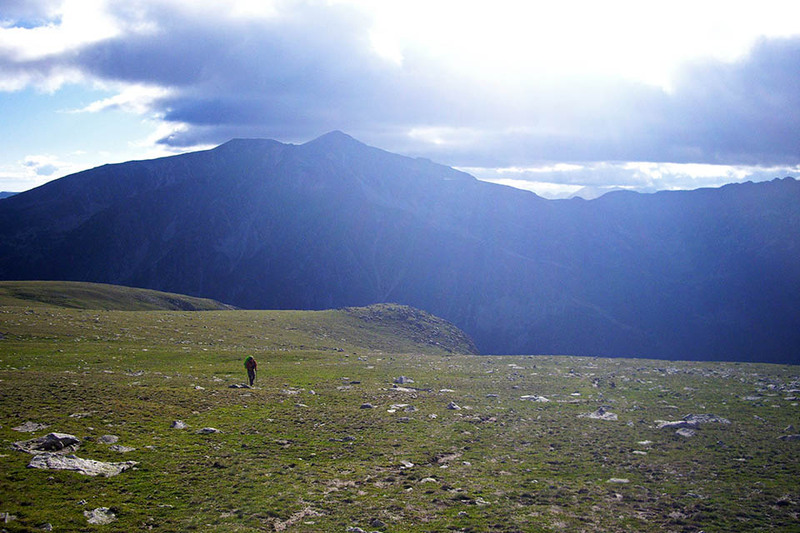 The terrain improves as the path begins the descent, while in the distance you can make out the small d'Engorgs shelter. 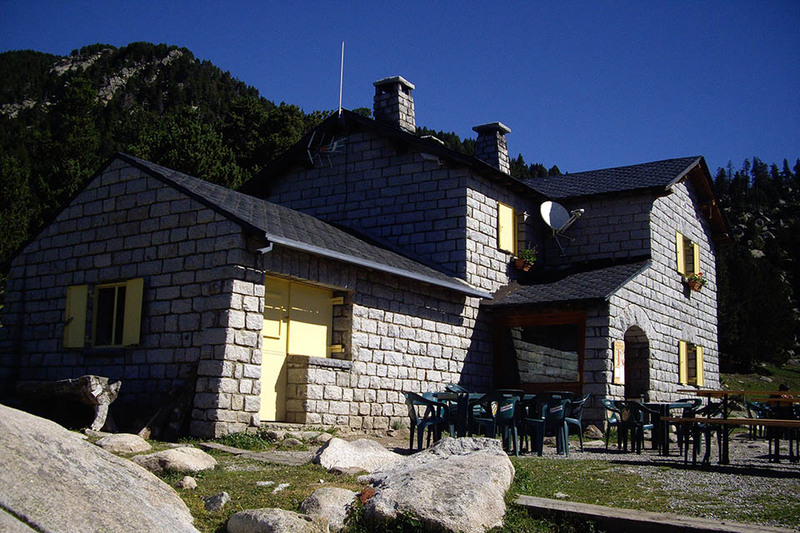 (3h45min; 9.9kms) Refugio d'Engorgs o de J. Folch i Girona (2.375m). From this point the GR11 follows the same route as the local 102 path, indicated with yellow markings. 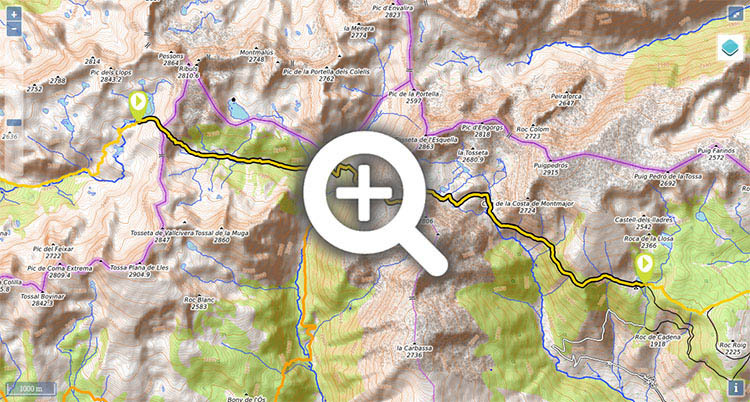 Carry on down through the valley (south) and cross the stream (4'). 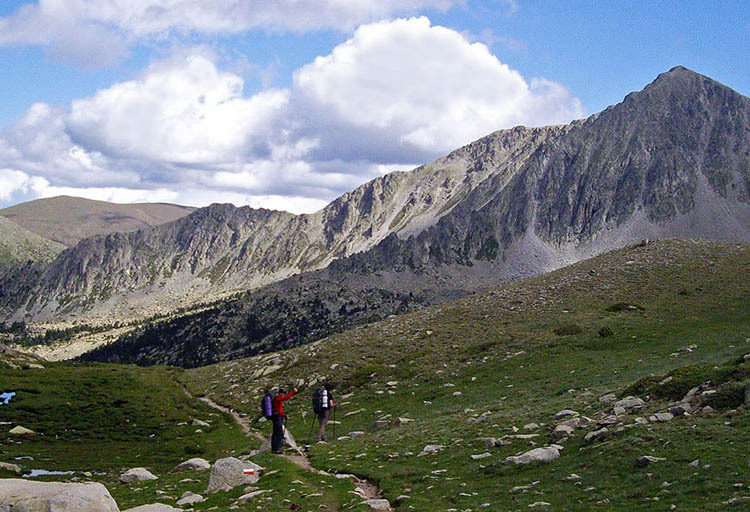 You reach a kind of balcony, which you descend, then continue along the hillside by the south face of Puigpedrós (2,914m). The path eventually peels definitively away from the river and heads into the pine forest, and at times the path can be little unclear. 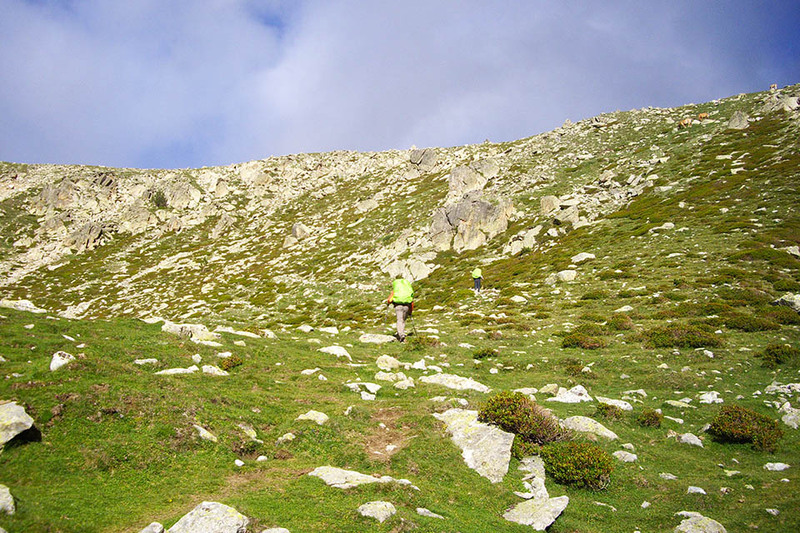 Almost at the end, you come out into some fields, from where you can make out the car par at the refuge and the Estany Sec lake. 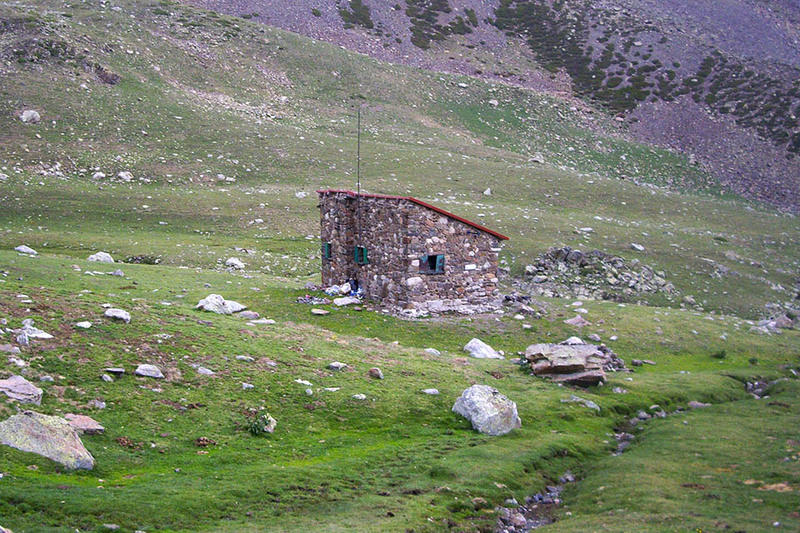 (5h20min; 14.6kms) Refugio de Malniu (2.130m). Drinking fountain. 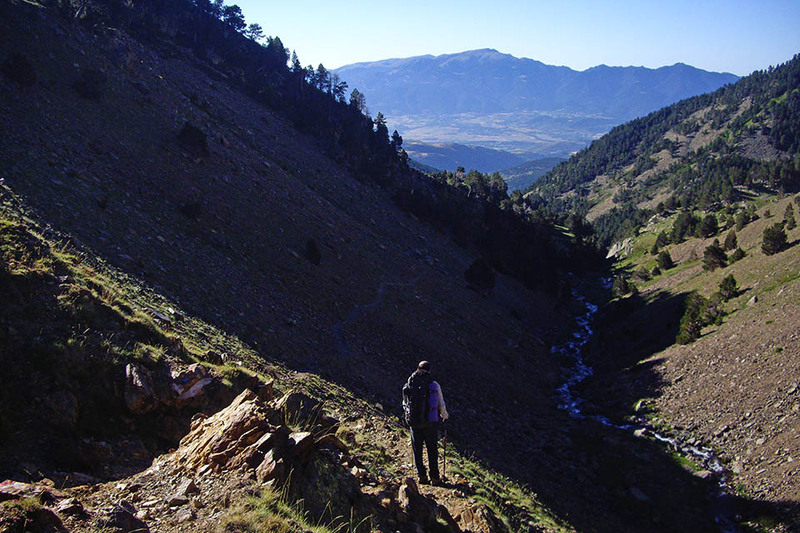 At the beginning of the stage, Refugi de L'Illa	(/). During the stage, Cabaña dels Esparvers (not great condition, 3 people) and Refugio d'Engorgs o de J. Folch i Girona (good condition).